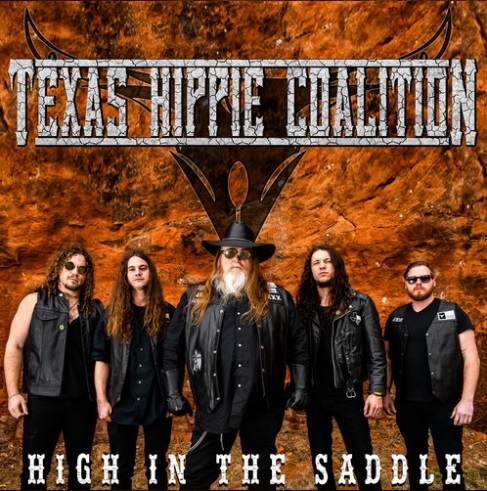 Texas Hippie Coalition has some new music and a new label home. The veteran hard rock band recently signed a deal with entertainment one, making the label the band’s new record company. The announcement was made Friday and comes two weeks after the Denison, TX-based band debuted ‘Moonshine,’ the lead single from its upcoming album High in the Saddle. 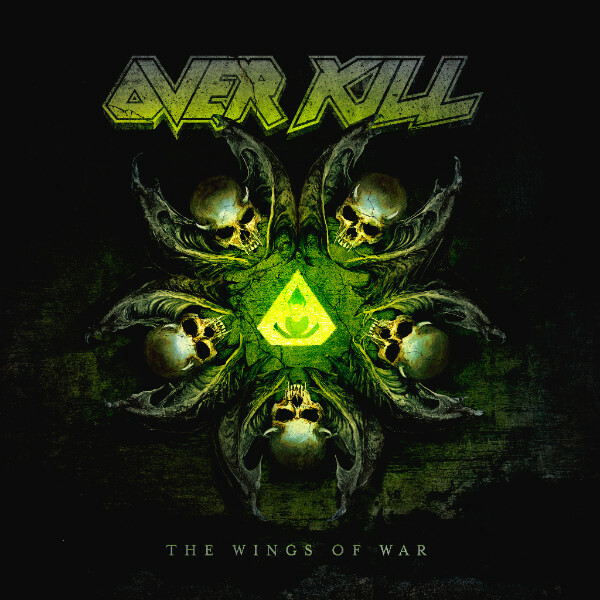 The record is currently scheduled for release on May 31. In addition to the announcement of the band’s new record deal and the debut of its new single and coming album, the band also recently announced a new expansive tour schedule. 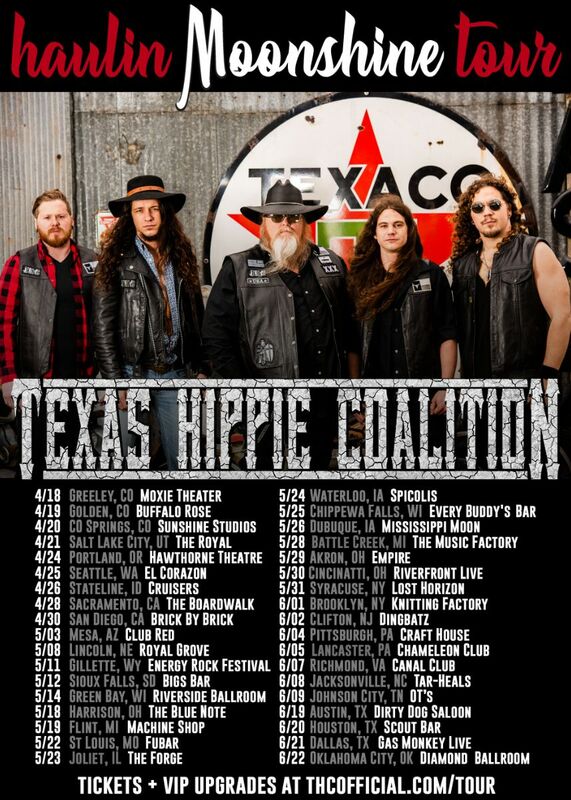 The tour, titled the “haulin’ Moonshine tour,” is in support of High in the Saddle, and is scheduled to launch April 18 in Greeley, CO and run through June 22 in Oklahoma City, OK. The tour’s current schedule is noted below. 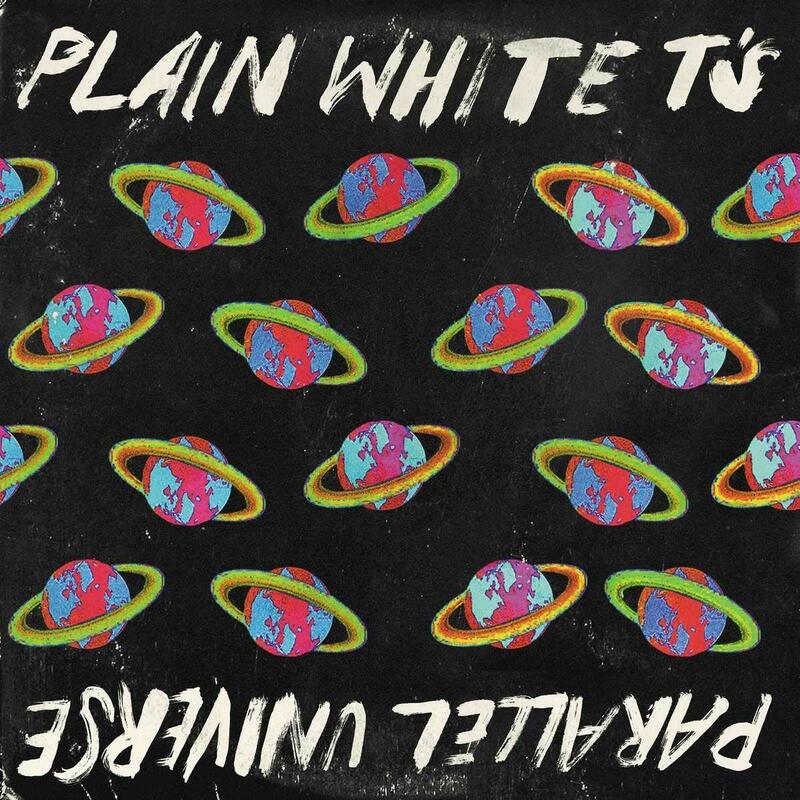 Plain White T’s debuted the video for its latest single this week. The band debuted the video for the song ‘Low‘ on Friday. The video features a man in classic Joker makeup as he distributes his “medicine” to people who are feeling depressed alongside what are supposed to be really bad commercials featuring people selling the substance against a hypnotizing back drop. The song is taken from the band’s most recent album, Parallel Universe, which was released last August through Fearless Records. Front man Tom Higgensen talked about the video’s concept as it related to the song’s lyrical theme in a recent interview. Along with debuting its new video, the band also launched a new series of live dates on Friday. The band’s latest live schedule features a performance April 25 in Oklahoma City, OK and a group of dates in the UK in May. The band’s current live schedule is noted below. Tedeschi Trucks band is coming to North Carolina this summer. The band’s stops in “The Old North State” are in support if its latest full-length studio recording, Signs. Released Feb. 15 through Fantasy Records, the 11-song record is a change of pace for the band in comparison to its previous album, 2016’s Let Me Get By. Even with the change of pace that is notable throughout the course of the album’s 46 minute run time, it is still a positive effort from the group, which is fronted by its namesakes, the husband and wife team of Susan Tedeschi and Derek Trucks. This is proven right from the album’s outset in its opener, ‘Signs, High Times.’ It will be addressed shortly. ‘Still Your Mind,’ which comes a little later in the album’s run, is another of the album’s additions that proves the record to be a positive new effort from the band. It is hardly the last of the songs that shows Signs’ strengths. ‘All The World’ is yet another work featured in Signs that shows the record’s strength. 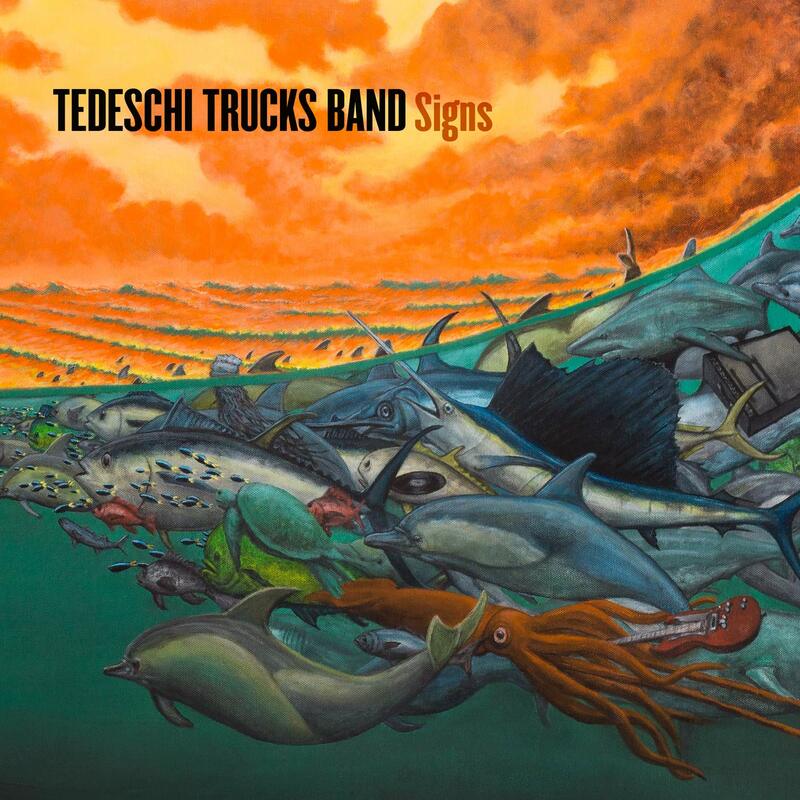 When it is considered along with the other two songs noted here and the records eight remaining songs, the whole of Signs proves to be another successful offering from Tedeschi Trucks Band. Tedeschi Trucks Band’s fourth full-length studio recording Signs is another welcome new offering from the band, which is made up of a number of veteran musicians and performers. 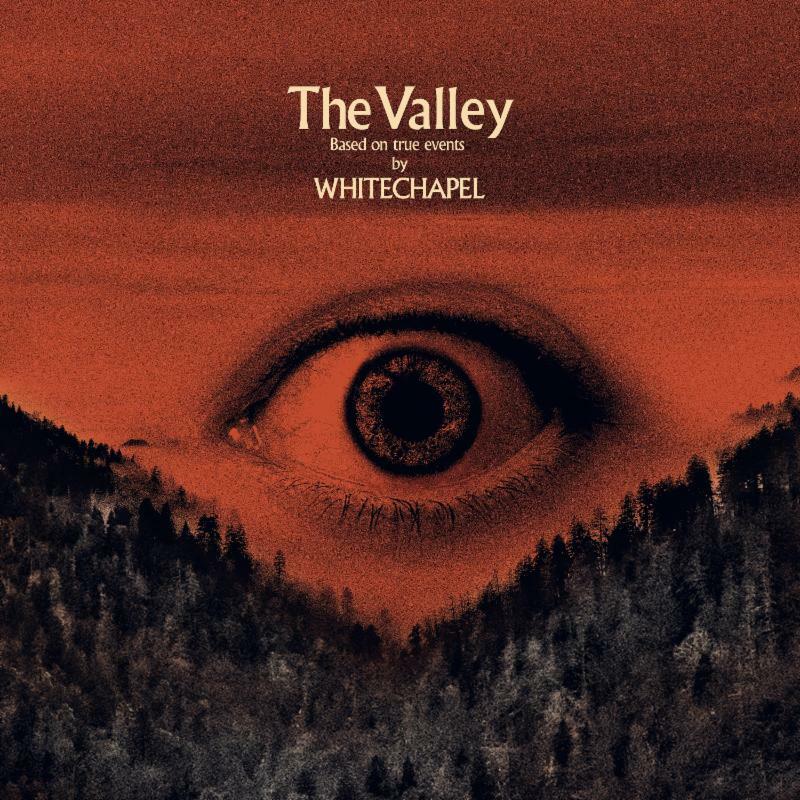 While maybe not the band’s best work to date, it is still a good effort from the band. That is proven right from the album’s outset in ‘Signs, High Times.’ The song’s funky, bluesy southern rock musical arrangement instantly conjures thoughts of The Allman Brothers Band, with whom Trucks also records and performs. The keyboards, guitars, percussion and choral elements create a wonderful, welcome vintage vibe that is certain to appeal to a wide range of listeners. That upbeat arrangement couples with the song’s seeming social commentary for a whole that is certain to engage and entertain audiences. The seeming social commentary comes as Tedeschi, who has been the lead voice of TTB since its inception nine years ago, sings in the song’s second verse, “Might ain’t right…Everything’s in black and white.” She goes on from there to sing in the song’s third verse, “Just realized there’s hatred in their eyes/can’t fool around with darkness for fun/Something tells me/Some people just ain’t worth saving/Got turned around/Following the sound/Of a heartbeat that’s been getting heavy/We’ve been here before/We were just getting ready.” The seeming commentary is illustrated even more as she sings later in the song, “Better make up your mind/’Cause we gotta get it right this time/So much good at stake/Don’t give into the lies they make/Oh lord, how did we get here again?” Yet again, here we have an example of what would certainly seem to be a specific statement from Tedeschi and company. That is especially the case as she sings in the song’s final moments, “People, how long till your hand’s called?” It’s as if she’s saying throughout that we as a people need to make sure that we know which side of the line we are on before our time is up. That is of course just this critic’s own interpretation of these lyrics. It could be completely wrong. Hopefully it is somewhere in the proverbial ballpark, though. If it is, then when it is considered alongside the feeling established through the song’s musical arrangement, the song in whole becomes a strong start for the album and a standout addition to the album. It is just one of the album’s most notable entries. ‘Still Your Mind’ is another of the record’s most notable works. ‘Still Your Mind’ stands out in the bigger picture of Signs in part because of its musical arrangement. The song opens simply in its first few bars, with a gentle, flowing piano line that one can argue presents a light jazz feel, and even a certain modern classical element. 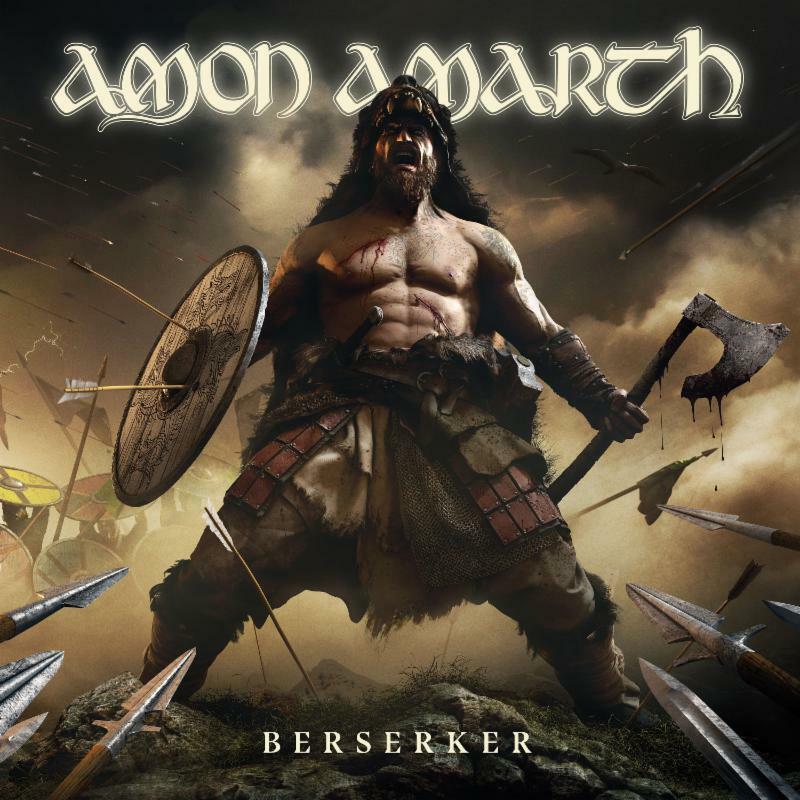 From there, the song takes a decidedly modern turn that actually, one could argue bears a mix of both modern and old school rock. That mix is well-balanced throughout the course of the song’s almost five-minute run time. Adding to the song’s interest is the song’s lyrical content, which couples very nicely with the gentility in the song’s arrangement. The lyrical content presented in ‘Still Your Mind’ centers on the issue of self-pride and confidence. Little doubt is left about that, as Tedeschi sings in the song’s lead verse, “Some days are grey for us all/Don’t wanna live or stay here for long/I say ain’t it good to know/That you’re not alone/So many people feel that low/But I’ll help you grow.” She goes on from here to sing in the song’s chorus, “Still your mind and breathe/Close your eyes and see/Fill your hands and drink with me/Be here now/Lay your troubles down.” This all comes across as a certain sort of reassurance for listeners who maybe are going through difficult situations. That sense of reassurance continues as she sings, “Before the growth, the leaves have to fall/And I’ll lit you up so you can tear down the wall/Don’t let the darkness of the world enter your soul/You know the light of your smile is what makes me whole.” Once again, here listeners have a subject who is sharing some very comforting words. What is really interesting here is that when the lyrics and music are coupled, they really come across as a sort of lullaby. It sounds odd, yes, but one could argue that sense when listening closely to the song. That in itself justifiably makes this work another one of Signs’ most notable additions. It is not the last of the album’s most notable entries, however. ‘All The World’ is yet another of the LP’s strongest songs. ‘All The World,’ like ‘Signs, High Times,’ comes across as another contemplative social statement. The difference between the two songs is that the prior song’s musical arrangement is more upbeat than that of this composition. This work is a deeply contemplative piece, even in its musical arrangement. It flows so gently, with its keyboard and guitar lines serving as its collective backbone. The noted approach to the song’s musical arrangement makes the song’s almost three-and-a-half-minute run time feel longer, but in a positive fashion. It also serves to help illustrate quite well, the emotion in the song’s lyrical content. Speaking of the song’s lyrical content, Tedeschi sings here, “So many times I lay here thinking/We may never stand up and rise again/Then I hear the voices singing/Everything must burn before hope can live again/All the world is bleeding/I can feel it/And I’ve seen it/But while our hearts are beating/We can heal it/If we mean it.” There is such a melancholy about this verse, that carries on through the song’s second verse. Tedeschi sings in that second verse, “So many places I have gone/But the song remains the same/So if we could please listen to what they say/The walls could crumble and wash away.” Again, there is such a bittersweet emotion here. That feeling is enhanced even more as Tedeschi returns to the chorus along with the equally bittersweet emotion in the song’s arrangement. When that emotion is coupled with the emotion exuded in Tedeschi’s words and vocal delivery, the whole therein creates a powerful impact for listeners. In turn, the song proves without doubt why it is another important addition to Signs. When it is considered along with ‘Signs, High Times,’ ‘Still Your Mind’ and the eight other songs not directly noted here, the end result is a record that in whole is another welcome new offering from Tedeschi Trucks Band. To keep up with the latest sports and entertainment reviews and news, go online to http://www.facbeook.com/philspicks and “Like” it. Fans can always keep up with the latest sports and entertainment reviews and news in the Phil’s Picks blog at https://philspicks.wordpress.com. Independent bluegrass band The Native Howl announced a new live schedule this week. 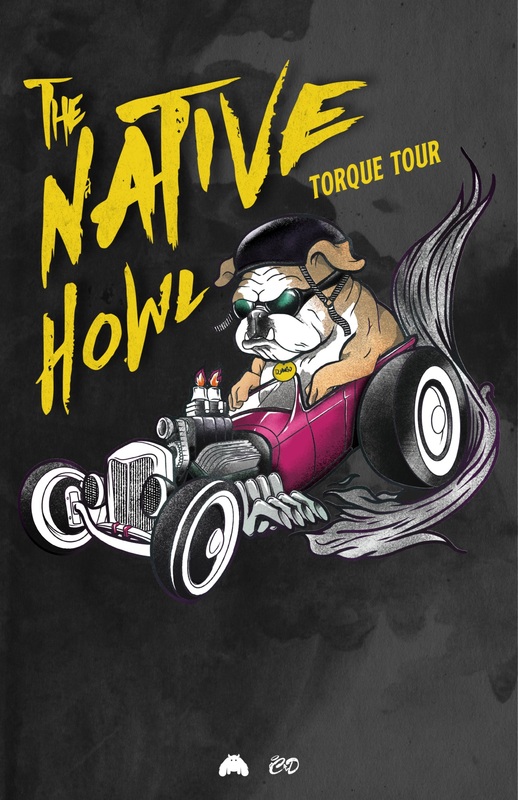 The Michigan-based band announced Wednesday, that it will launch “The Torque Tour” starting May 2 in Joliet, IL. The nearly two-week-long tour is scheduled to run through May 11 in Neenah, WI and feature dates in Minneapolis, MN; Sioux Falls, ND and Green Bay, WI. The tour’s schedule is noted below. The band’s upcoming tour is in support of its most recent album, 2018’s Out of the Garden and Into The Darkness. The record debuted at #3 on the Bluegrass Billboard Chart and #50 on the New Artist Album Billboard Chart. It spawned the single ‘Somethin’ Else’ and its companion video. Prior to releasing Out of the Garden and Into The Darkness, the band released the EP Thrash Grass in 2016. 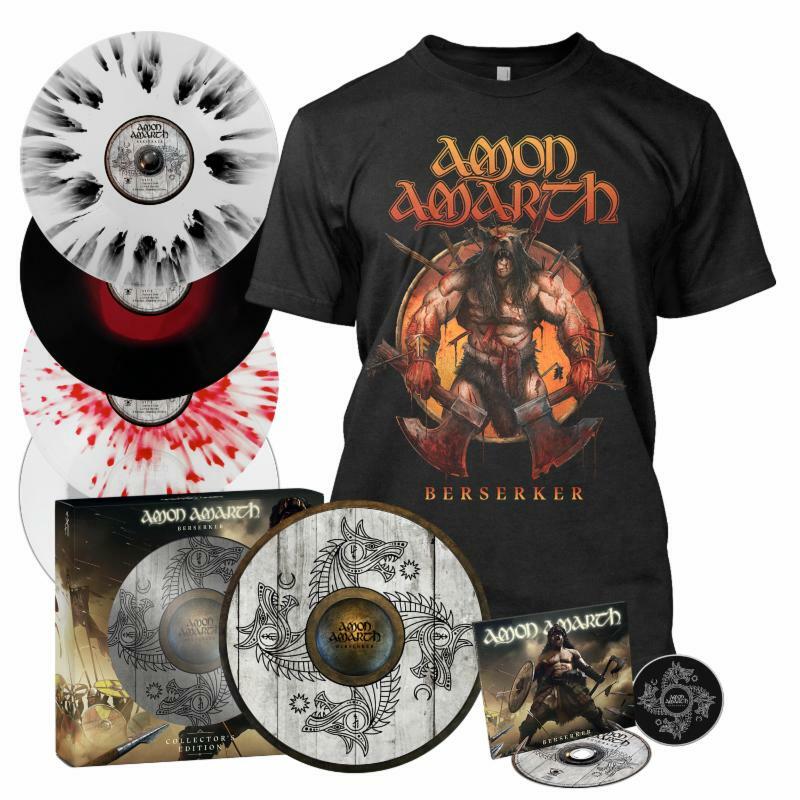 That record spawned the single Thunderhead and its companion video.